Engineers and telecom operators will soon have access to a digital voice assistant that was built specifically for them. Think of it just like you would Amazon’s Alexa, Microsoft’s Cortana or Apple’s Siri, except it’s strictly for the telecommunications industry. Introducing the “Multi-purpose Intuitive Knowledge Assistant”, or “MIKA” for short, developed by Nokia. 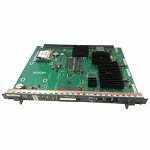 Nokia has created a customized ‘digital assistant’ that will improve telecom operators’ efficiency by providing engineers faster access to critical information. 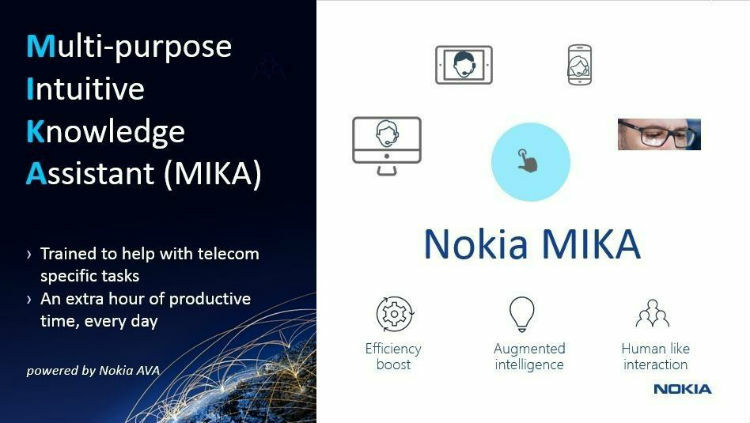 ‘MIKA’ – powered by the Nokia AVA cognitive services platform and underpinned by Nokia’s services expertise – will provide voice-dictated automated assistance to reduce time spent searching information resources, enabling operators to focus on key business tasks without being distracted by the complexities of multi-technology network environments. MIKA will help engineers and telecom operators access specific information and look up quick solutions to telecom-related problems, all based on the AI-driven network experience, and all done simply through voice commands. One of the coolest things about MIKA is that it is supposed to be able to foresee network faults up to two weeks in advance with 95 percent accuracy, through the Predictive Repair service. The MIKA is currently only available for telecom engineers, we’ll have to wait and see if they provide something for the general public. If your headed to the Mobile World Congress, be on the look out, you might get to see it in action. 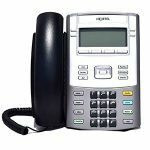 PreviousPrevious post:New Town Hall Phone System to cost $65K, too much?NextNext post:Telecommunications Act of 1996, What is it and How Will it Affect the Telecommunications Industry?